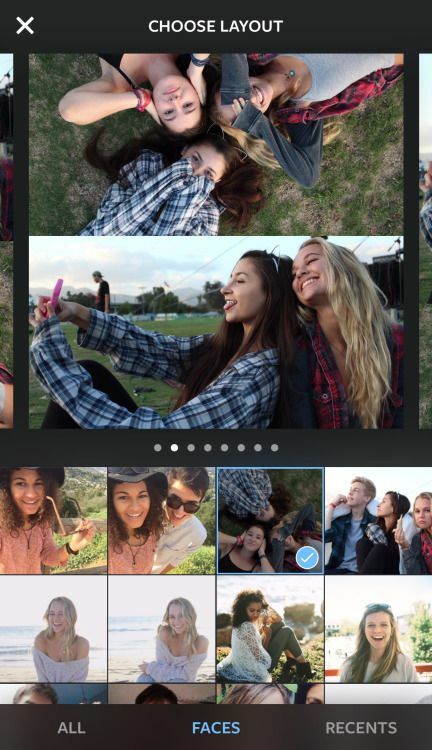 Layout from Instagram: Finally their own collage app! 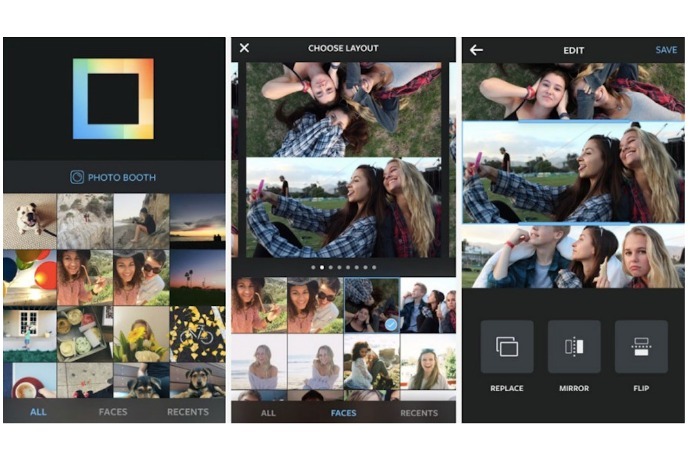 Layout from Instagram: Finally, Instagram’s own photo collage app. Just last year, we gave you the straight intel on the best Instagram collage apps. And now, finally (some might say, including us) Instagram has jumped in the game with Layout from Instagram, their very own app for making photo collages to share. It’s been out for a few days, but I really wanted to spend a little time playing with it to see if it was worthwhile for you. The app is all about turning the already fun art of photo collage even cooler by making it easier, more intuitive, and really streamlining the process. 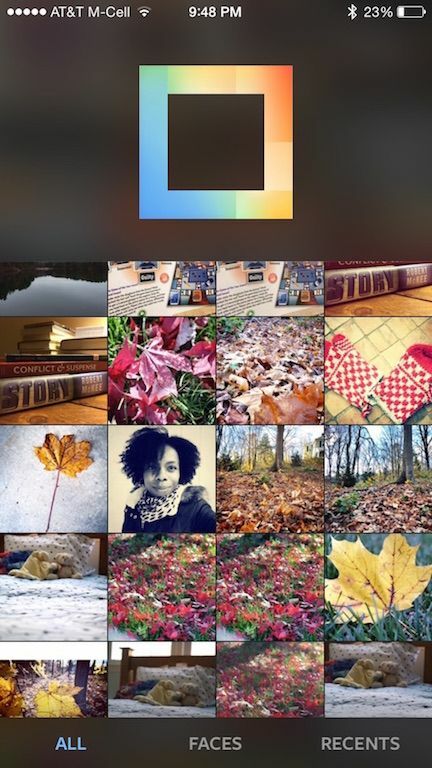 For example, with most collage apps, you need to select a format first — 3 photos stacked vertically, a grid of 9 squares Brady Bunch-style — then import your pics from your photo library into the empty grids. With Layout, you skip a couple steps and view your Camera Roll automatically from within the app. Plus, Layout gives you previews of custom layouts at the top of the screen to scroll as you try to figure out which photo of your kid devouring a cupcake (or a cupcake devouring your kid, more likely) that you want to use first and just where it should go. I love that once you’ve uploaded up to nine pics, you can keep changing your layout, sort of like what Pic Monkey lets you do in collage format. In other words, the grid automatically updates so you don’t have to start over from scratch when you decide that 8 photos is clearly better than 3. I mean, it’s cupcake and a baby, right? Cuteness gold. Other smart features include a a “replace” button that pulls up your Camera Roll again with a simple tap, and the ability to fiddle around with the sizing and position of individual pics by sliding the edges. You can also build a collage from just your most recent snaps by tapping on — you guessed it — Recent. I am also really impressed by a clever Layout app feature called Faces which I haven’t seen in any other Instagram collage apps. Tap it and you’ll see only the photos in your Camera Roll with people’s lovely faces. So much better than scrolling through all those landscape and sunset and food photos to find the family photos you’re looking for. And just for fun, if you’re in a no time like the present kind of a mood, there’s a Photo Booth option, ready to snap four quick selfie shots in a row. Not like you’ve ever shared a selfie. I thoroughly enjoyed playing around with the Layout app. It’s fun, free and easy: three things that work well together in a photo app, no matter how you lay them out. The one downside — no Android version yet. Considering Android users had to wait more than 18 months for Instagram in the first place, hopefully Layout won’t be quite so long in coming to your shiny LG and Galaxy phones. Layout from Instagram is a free download on iTunes.